Recently re-designed, C-SPAN Classroom is a free membership service that offers information and resources to assist educators, and specifically Civics and U.S. Government teachers, in their use of C-SPAN’s primary source: public affairs videos. C-SPAN Classroom offers current, relevant standards-based video clips organized under six major topics such as Principles of Government, U.S. Constitution, Legislative Branch, Executive Branch, Judicial Branch, and Political Participation. C-SPAN Classroom also offers other resources, such as pdf worksheets and links to well-selected related sources, designed to enhance the teaching of these subjects. 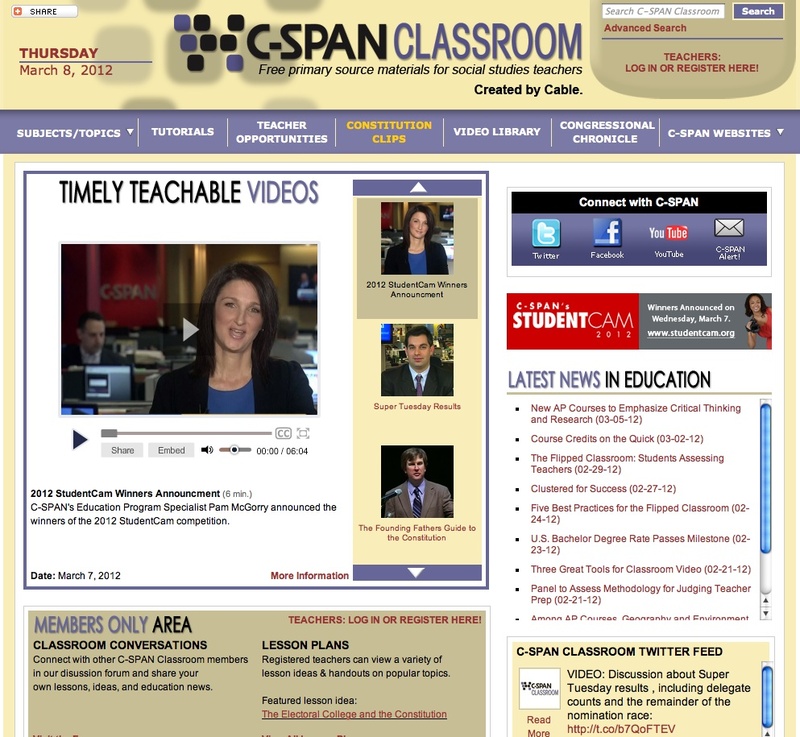 Members of C-SPAN Classroom are educators. This includes elementary through high school teachers, college and university professors, home school educators and district level administrators. This site is part of the Cable in the Classroom network, aimed at fostering the use of cable content and technology to expand and enhance learning for children and youth nationwide. Dozens of clips are freely and easily retrievable, while thousands of hours of content-rich videos are available by visiting the C-SPAN corporate website.